The proposals form part of a package put forward in 2013 by the executive European Commission designed to inject competition into domestic rail markets across the 28-nation EU. Domestic passenger rail markets are still largely dominated by one incumbent, such as SNCF in France or SNCB in Belgium. Sweden and Britain are the only countries that have fully opened their markets to domestic competition. Germany, Austria, Italy, Czech Republic and the Netherlands have opened theirs to a limited extent. “Today’s agreement on the fourth railway package paves the way for better efficiency, performance, value for money and quality of rail services in the EU,” said Violeta Bulc, EU Transport Commissioner. Thursday’s agreement means negotiations can start with the European Parliament to agree on a final compromise. European train companies will be allowed either to set up commercial activities to compete with operators in other countries or to bid for public-service contracts that are awarded by governments on lines that are not as profitable. Commercially viable lines, usually high-speed networks, will be open to competition from 2020. The majority of lines subject to public-service contracts will be liberalised 10 years after a new law takes effect, expected in 2016. Italy, for example, has already opened up its high-speed network. 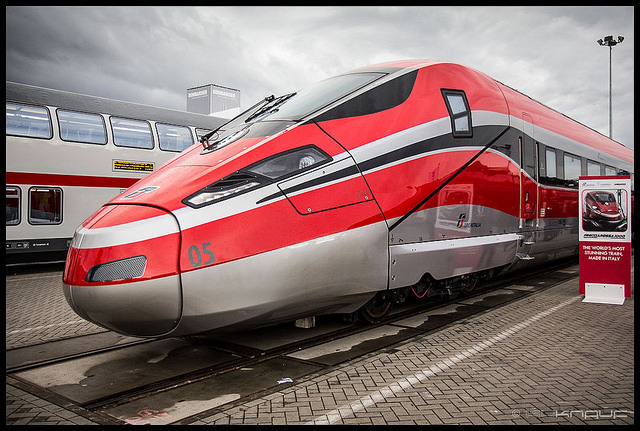 It now has two operators competing, Italo and state-owned Trenitalia. But the majority of domestic rail lines, over 90 percent according to the Commission, are operated under public-service contracts. Countries often directly award rail contracts to the local incumbent, which is either compensated or granted exclusive rights on the line. The original proposal would have introduced mandatory competitive tendering for such rail contracts. Opposition from member states means that governments will be able to directly award contracts where the geographical characteristics are such that it would result in service improvements, or where they do not receive enough bids. The reform also strengthens the independence of track owners from railway companies by making them responsible for all functions concerning the network such as investment plans and maintenance. It does not prohibit vertically integrated structures such as that recently introduced in France, where the track owner RFF and the railway company were brought into the same holding company. But it does introduce safeguards against the transfer of funds between the two. In the UK, the new leader of the Labour opposition, Jeremy Corbyn, has pledged to re-nationalise rail franchises privatised under the administration of Conservative prime minister John Major in the 1990s, although critics have debated whether this would be permissable under EU law. The Community of European railway and infrastructure companies (CER) welcomed the general approach adopted by the transport ministers on the so-called Market Pillar of the Fourth Railway Package. “The Recast Directive has been amended taking into account most of the concerns expressed in the last months by CER: it has been recognised that different governance models for infrastructure managers can co-exist within a single and ever more open rail market,” the CER said in a statement. In the European Parliament, the Greens/EFA group welcomed the deal reached in Council and urged negotiations to start immediately to finalise negotiations with Parliament. “We will push for greater transparency of financial flows to make sure that public money will be used to make rail transport more efficient and environmentally-friendly,” said Green transport spokesperson Karima Delli. Delli also urged a swift agreement on the so-called Technical Pillar. “We need to overcome the technical patchwork in the rail sector across Europe, so we can have a truly European rail network. This implies tackling the over 11,000 European and national rules for technical security. The authorisation of new rail vehicles can take over 2 years and cost up to €6 million. The 4th Railway Package includes crucial provisions to this end, which will improve efficiency and reduce costs by 20%. This would save €500 million for the rail sector over 5 years."